MarketNewsRelease.com is an online repository of market content, news, industry statistics and research analysis, across several verticals useful for journalists, bloggers, key company executives, think tanks, educational institutions, research and consulting firms. Fabgrandma is a Baby Boomer lifestyle blog, where Karen Eidson writes about gluten-free recipes; travel, including hotel and restaurant reviews; remodeling and redecorating her home; visiting antique and thrift shops; craft and sewing projects; health issues of interest to senior citizens; and being a grandmother. She loves doing product reviews and giveaways too! Sponsorships for projects are always welcome. Along Comes Mary is one of the fastest growing lifestyle and travel blogs based out of Los Angeles. Written and maintained by Mary Lansing, an LA native, the blog reflects traveling throughout California and beyond, while maintaining a gluten-free pesceterian lifestyle, as well as her comings and goings throughout LA, performing arts reviews, favorite products and exciting discoveries. 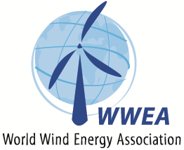 The World Wind Energy Association unites the world of wind energy, with members in more than 100 countries. WWEA promotes the utilization of wind power, with the final goal of a global transition to 100% renewable energy. For this purpose, WWEA provides information and cooperates with governments as well as international organizations - with Special Consultative Status at the United Nations. Driver Emotion provides information about electric & hybrid cars. Driver Emotion also provides car sales services in The Netherlands. Gluten Free Retailer provides retailers and other readers with informative feature stories and expert columns on a variety of different gluten-free product categories. GFR also provides readers with useful information about top-selling brands and products, industry trends, current sales results, as well as the latest new product introductions ready for “prime time” on store shelves. Every issue of GFR also includes all of the most important industry news, along with expert-written columns from knowledgeable gluten-free industry leaders. Founded in 1990 with offices in New York City, Camden, Maine and headquartered in Madison, Wisconsin the Institute for Global Ethics in is an independent, nonsectarian, nonpartisan, 501(c)(3) nonprofit organization that is dedicated to promoting ethical action in a global context. Fancy That! is a lifestyle blog featuring honest reviews, giveaways, and upcoming deals to offer to their readers. The readers of Fancy That! love a good deal and love to enter giveaways. Some of the type of reviews and giveaways you may find on this blog include food and beverage related reviews (including alcohol), technology, travel and entertainment reviews, beauty and clothing items, and more. TravelTalkMEDIA, established in 2001, is one of the world’s most relevant travel industry new media companies, providing travel-related information, news, and entertainment to the travel and tourism industry worldwide through radio and television/video distribution called TravelTalkRADIO, BusinessTravelRADIO and TravelTalkTelevision. The programming is distributed to approximately one million listeners in 185 countries each month through online and conventional radio distribution via satellite and cable. Radio broadcasting reaches listeners through our distribution network, Talk Star Radio in the Western Hemisphere. Sandy Dhuyvetter is the host and the executive Producer of the radio and TV programming and editor of the popular Newsletter. Natural Practitioner provides health, nutrition and business information to alternative, complementary and integrative health care professionals to help them succeed in their practices and better serve their patients/clients. NP fills a need among the professional natural health care field for a trade publication that offers news and analysis, as well as product information and insights from leading practitioners, designed to benefit their business operations and health care practices. Nutrition Industry Executive is designed specifically for dietary supplement industry manufacturers and ingredient suppliers, as well as manufacturers of functional foods and beverages and suppliers of functional food and beverage ingredients. NIE provides news and information about the natural products industry relevant to the interests of manufacturers and suppliers, serving as a disseminator of product information from raw material suppliers to manufacturers of finished products. Published since 1997, NIE reaches over 10,000 nutrition industry members with each issue. Vitamin Retailer is recognized as the dietary supplement industry’s leading business magazine. VR was the first trade magazine to specifically cover the category of dietary supplements. This trail-blazing editorial focus has firmly established VR as the most credible and reliable source of information pertaining to dietary supplements and related products. Each issue of Vitamin Retailer includes information about vitamins, minerals, herbs, specialty supplements, sports nutrition, natural remedies and HBA products. The editorial content in VR is aimed primarily at retailers of dietary supplements, and secondarily toward other industry members including manufacturers and suppliers. Smart Tech Today gives its readers everything that is news-worthy from the world of politics, technology, health, travel and finance. Moreover, it equips its readers, from across the globe, with the opportunity to share news and views on its vibrant platform. The book Our Dreams for Our Children is a wake-up call to baby boomers to discover the power of legacy and to start now to plan how they will share their legacies for the benefit of future generations. The Maine Ocean and Wind Industry Initiative (MOWII) represents companies’ expertise within the Maine ocean and wind energy supply chain, works proactively to promote the expertise of member companies, and provides solutions to local, national, and international market participants. The Florida Solar Energy Industries Association (FlaSEIA) is a non-profit professional association of companies. Since 1977, we have been dedicated to protecting and promoting the interests of the solar energy industry in Florida. Manhattanweek provides 24/7 news, as well as the latest information on what’s happening around the globe and social events, entertainment and sports updates. BioAlabama is Alabama's most comprehensive network of industry, academic and research institutions as well as entrepreneurial enterprises and service providers. We advocate for and bolster Alabama's presence in the national biotechnology industry. A Passion to Care. The Ability to Help. AngelaCARES, Inc. is a 501(c) (3) nonprofit organization headquartered in Jersey City, NJ. Our mission is to serve as an advocate and support system for senior citizens, their caregivers, and a mentor to the youth by educating and empowering them to volunteer. We are committed to strengthening communities by enhancing the quality of life through the generations. Cannabis News Pro is the world’s foremost cannabis-specific mobile news source, providing consumers with the most accurate, detailed, and up-to-date cannabis information available. News feed content includes all things cannabis with topics such as legalization, trade events, and medicinal/industrial cannabis applications. Cannabis Education, Activism and Community Empowerment are the core purposes of this industry-leading platform. Support the Movement… Stay Informed. Plunkett Research, Ltd. is a leading publisher of business and industry analysis and market research to corporate, academic and government markets. Its research is packaged in industry-specific data tools covering all major sectors, published online as well as in ebook and print formats. Plunkett’s products are complete business resources, enabling professionals to access trends, statistics and companies in the world’s principal industries. The firm covers health care, infotech, retailing, financial services, transportation and all other business and industry sectors. The Solar Living Institute is a 501 (c)(3) educational nonprofit organization offering instruction in solar training and sustainable practices. Founded in 1998, we have been providing professional solar training and a wide array of sustainability courses for over 15 years. Our courses are taught by experienced practitioners who bring years of real world knowledge to the classroom with a focus on helping students prepare for job opportunities, start businesses, and live more sustainably. PharmaTutor is a comprehensive website for the pharmacy & lifescience professionals. PharmaTutor provides important updates on jobs, projects, news, admission, conferences and event related to pharmacy & lifescience field. PharmaTutor Edu Labs is a monthly e-magazine that is brought out by the company.